High Performance Specialist Paints, Coatings & Finishes and Professional Decorative Paints. For Historic & Traditional Buildings & Ancient Monuments. Metallic grey paint for metal and steel work. A range of specialist paints for difficult surfaces or specialist situations. A range of paints, coatings or systems developed for a variety of situations or for when particular specialist or high performance finishes are required. These include paint for steel surfaces, anti-glare paint, reflecting paints, micaceous iron oxide and solar absorbing and solar reflective paints. A water white Acrylic Clear Lacquer for metal protection. Solvent and water based multi-surface Black Out paints for ceiling voids. A one pack Anticorrosive Quick Drying Primer Finish in a large colour range. We are happy to make bespoke mixes and colours subject to minimum batch sizes. For Primers and Undercoats for above, please see our SPECIALIST PRIMERS & UNDERCOATS. For Rust Convertor, Degreasers and Cleaners, please see our PRE-TREATMENT category. 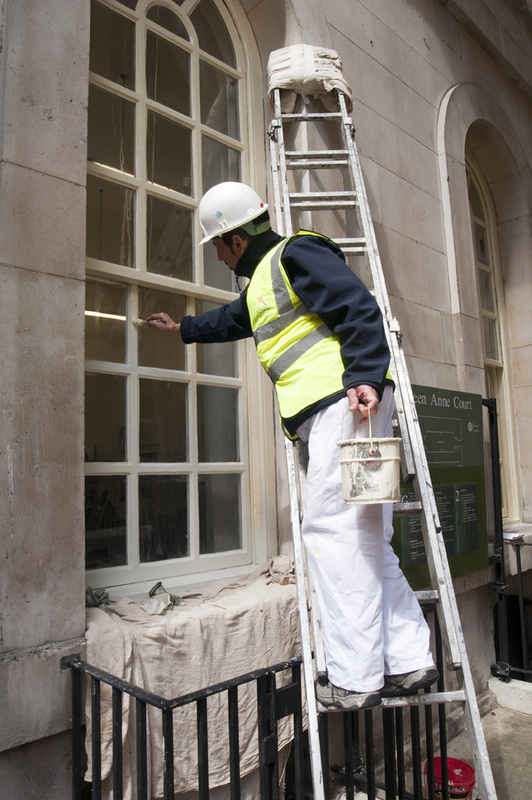 For older, traditional and English Heritage Buildings, we produce excellent alternatives to lead based paints - A49 Amel System and A109 Synthamel System. Please consult directly with our Technical Department prior to any intended use. Call 01202 295570. The Old Royal Naval College, Greenwich. Courtesey of The Art of Decorating Ltd.